Top 5 Wednesday is a great feature hosted by ThoughtsonTomes. To find out more about Top 5 Wednesday and the upcoming topics, check out its Goodreads page. As the title suggests, this week is all about what books we’re excited about next year. I’m generally someone who doesn’t keep up with book releases, but because of my Read the World Project I’m starting to keep track of up and coming translated books. In order of release date (or at least what I believe the UK release date will be) here’s 5 books I’m excited about that are released in 2019. Last Night in Nuuk follows the lives of five young Greenlanders exploring their identities at the cusp of adulthood. This is the first book I’ve discovered that’s written by an author from Greenland so that automatically put it on my radar. Basically, this is a non-fiction book all about the wonderful female Marvel characters, films and comics. I’m a huge Marvel fan and the illustrations in this book look absolutely stunning! Set amid the desolate beauty of Tibet’s heartlands, Love in No Man’s Land is an epic story of family, identity and endurance, of a way of life imperilled, of a people trying to find their place as the world changes around them. Tibet is another country where I’ve not found many, if any, books for my Read the World Project. It’s a bonus that this sounds like a story I’d like – I’m always fond of a sweeping family saga. 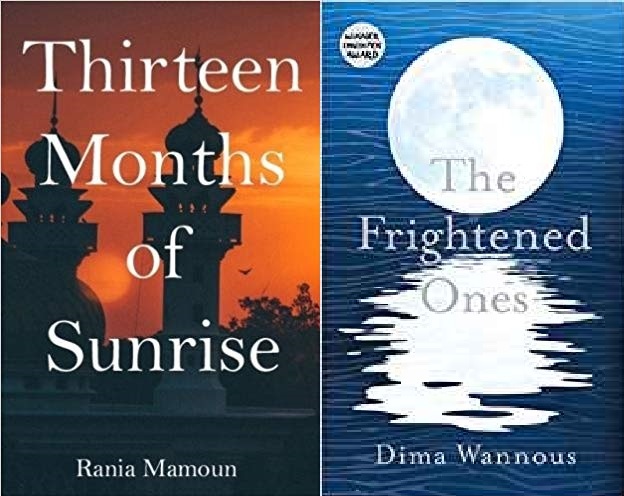 In Thirteen Months of Sunrise the first major translated collection by a Sudanese woman writer Rania Mamoun expertly blends the real and imagined to create an intimate portrait of life in Sudan today. From brief encounters to unusual friendships, this startling and evocative debut illuminates human experience and explores the alienation, isolation and estrangement of urban life. Another one for the Read the World Project, and as women writers are less likely to be translated into other languages, including English, than male writers, I definitely want to check out this book. Suleima feels anxious as she looks at the pile of papers sent to her by Naseem, the handsome man with the bulging muscles. As she devours them, lingering on every word, she finds that she is reading an unfinished novel, or biography, about a woman dominated by fear, just like her. What did Naseem mean by it? Had he himself been overwhelmed by fear and unable to finish it, and did he now want her to write the ending? Dima Wannous is a Syrian author, so The Frightened Ones will be perfect for my Read the World project. Plus, I’m a big fan about stories about books, or books where there’s a story within the main story. These are five of my most anticipated 2019 releases. I know they’re a bit obscure! What are some of your most anticipated 2019 releases? I’m always looking for books to add to my ever-growing TBR.